As Bonnie ZoBell explains below, the stories in her new collection, What Happened Here, are linked very closely by their geography—one city block, and as you’ll see it’s the block where ZoBell lives. 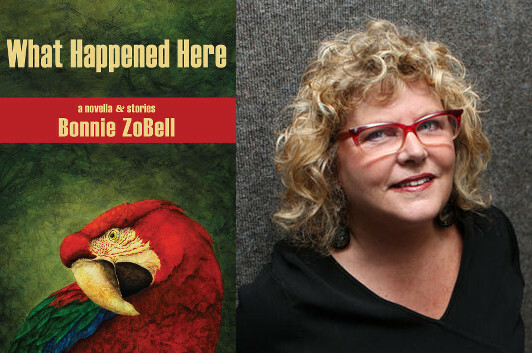 You can read an excerpt from the collection’s novella at The Nervous Breakdown, but before you do that, let’s learn how San Diego has worked its way into ZoBell’s writing as well as her heart. When I left San Diego for graduate school in New York City in 1979, I was sure I’d never return. I’d had enough of the small-beach-towns-strung-together world for a lifetime. There was no literary community to speak of. Conservatism abounded with all the branches of the military and retirees living here. Nobody quite knew what an MFA was—though in retrospect I don’t think other towns did either. So I researched them in San Diego State University’s library. This was long before the age of computers. I sent out applications with abandon. Wouldn’t Arizona be cool with all that desert? Bowling Green had history, opening in 1910, and wonderful faculty. The farther away the schools were, the better. Yes, it was expensive to apply to so many, but I had to get out of here. How wrong I was, I now think thirty years later. I loved living in New York, yes. Twice I told Columbia University’s MFA program that, no, I couldn’t go there because I’d never been east of Utah. And then finally I did. I arrived at the graduate dorm at night in a cab, something I hadn’t had much use for until moving to the East Coast. When I looked out my eighth floor window the next morning, I realized all over again that I couldn’t attend Columbia because I didn’t own a suit, and everyone I saw was wearing one. I couldn’t afford to buy a suit. (Columbia had given me a fellowship.) Not until later did someone explain that the building I looked out on was the law school. Everyone wore a suit was because big firms were interviewing on campus. I’d never seen a doorman before. But boy was he right. NYC isn’t the place to go barefoot. But it was too expensive and hard to live there, I found a few years after graduation. If I wanted to write, I had to do so on top of my full-time job at the magazine and doing as much freelance editing as I could get my hands on. Even then, I lived with two roommates I wasn’t crazy about in a run-down apartment building in which most people had six or seven locks on their doors even though building was so old and had such rotten door jams it didn’t take much to simply kick the doors in. I moved back to San Diego. I could teach here and only have one job. 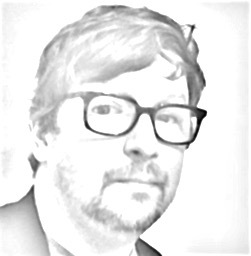 Landing at first in a Del Mar apartment, it was hard to get used to the town rolling up its rugs at 11:00 p.m. Where were all those people out walking on the bustling Broadway at 4:00 a.m. when I too needed a walk because I couldn’t sleep? In San Diego, which is expensive but not as expensive as New York, you can find an apartment or home to live in in which the stove doesn’t interfere with closing the front door. You can live inland more cheaply and a short drive will get you to the beach, Balboa Park, mountains with snow, access to trails up beautiful trails and awe-inspiring vegetation. There is the much-needed time to occasionally stare at the wall for an hour and think. There are people who aren’t so career-oriented who are perfectly fascinating and get by. You can easily grow Dr. Seussian succulents and nearly any other kind of plant because it’s so warm. Culture has arrived in a bigger way than the San Diego of my college days. There are writers who want to get to know each other, readings, great theaters, and musical venues. The ocean. How could I have left her for so long? That big pool of the unknown, full of beauty, danger, possibilities. There are walks on the beach, sure, but even if you don’t live near the ocean or go there as often as you’d like, her presence is always felt. There is a whole direction living right beside you that is free, undefined, infinite. There is a part of you that doesn’t have to decide yet. The fog, the sticky air, the briny smell makes you never forget she is with you and open. What to do with so much extra time? I began writing a novel, Animal Voices, set in the southernmost part of Del Mar, Del Mar Terrace. I was pleased to remember how intimately I knew the Terrace from having grown up nearby for part of my childhood, how much I enjoyed revisiting it. It was mine. There were kids in my novel called the Terrace Rats, a real gang from the 1950s and ’60s who ruled the area—gangs not like the Bloods and Crips, but like Huck Finn. At night they played on the earthmovers and bulldozers that workers left sitting as they built San Diego’s main thoroughfare to L.A., Interstate 805. The Rats warred with the inland boys, throwing avocadoes and oranges. I knew by heart all the estuaries and inlets and the fragile ecosystem of the slough, now more politely called by the gentrifying clientele, the “lagoon.” I knew the politics of the government taking over land from the inland boys’ families, appropriating it for this massive freeway. I researched the marshes and beach in the area through Torrey Pines Park Association and an old high-school friend who is now a scientist. Most importantly, I knew the feel of Del Mar Terrace. It’s not quite as snooty as Del Mar, though unfortunately with more modern homes being built into its cliffs and crags, that might be changing. The beautiful sunsets and sunrises sparkling against the stunning red bluffs are mind-boggling. You can go to the end of the street and put your foot in the water. Funny little houses that have been there forever are still snuggled into funny crevices in the bluffs. There are several cute little restaurants with outstanding views, not too big so they stay within the scale of the community. What Happened Here is set in the North Park area of San Diego, an older part of downtown filled with Craftsmen and Spanish bungalows. I live on the site where PSA Flight 182 crashed into North Park in 1978. I couldn’t stop ruminating over it, and then it dovetailed with the novella I was writing in which a bipolar man is crashing in direct parallel to the coming of the 30th anniversary of the PSA crash. Then my whole collection of stories suddenly moved into the same block in North Park. How fascinating it was to go to the downtown library and research details about my neighborhood and the airplane crash, especially since I lived in the area at the time of the crash as well and had memory working with me. The small, funky apartment next to me used to be the neighborhood grocery. I’ve walked the hood quite a bit in the last 15 years. It’s so easy to see where the plane crashed because all the new homes were built in the late seventies whereas the rest of the neighborhood was built in the late 1920s. I love this place, San Diego. I feel at home here. I know the history from fondly researching it, the feel of the people, the funny little nooks and crannies only locals know. Setting is really important in my fiction. I try to make it as much of a character in my books as I can, and I want to deeply understand it. San Diego is an old friend or relative I had to reject at one time and get away so I could see it more objectively. Now that I’m back and more mature, my feelings are unconditional.